There’s nothing wrong with those classic date nights, such as going to the movies, or getting dressed up and enjoying a delicious meal as a couple in a local restaurant. Though it’s also true that if you’re forever waiting for the stars to align for you to have the opportunity to go out. If you do, then there might be a lot of time passing between date nights! Heading out every week can be expensive, right? Instead, look at making your home an ideal place to enjoy each other’s company for the evening. Below, we take a look at a few tips you can use to make this happen. One of the reasons people love to visit those romantic restaurants is because they’re romantic! The lighting is atmospheric, the smell is fine, there is, in short, love in the air. Here’s the thing, who says you can’t replicate this in your own home? Of course, you can. Take a look at transforming your interior so that the lighting, smells, and ambiance all make it a relaxing place to be. If you can easily create an atmosphere of love, you can have date night whenever you feel like it. Some couples like to get a takeout meal when it comes to spending time together, but they’re missing out on something hyper-romantic — cooking together! You can look up a delicious dinner, open a bottle of wine, play some music, and enjoy life. What’s not to love? Of course, your enjoyment will be compromised if you’re working in a cramped or otherwise unsightly kitchen. It’ll be much easier if you’ve got a modern, spacious kitchen with all the latest amenities. We have done this because the kitchen is the heart of our home. Once you’ve cooked your meal, it’s likely that you’ll want to cuddle up and watch a movie. This is arguably more enjoyable than visiting the movies. Providing you have everything you need to make it as fun and romantic as possible, that is! First of all, the screen and set up — make it as large and immersive as possible. After that, it’s all about the seating. You can load up your couch with pillows and throws, for example. For extra fun, shop SumoLounge.com, and buy a giant beanbag chair that you can both fit in. You’ll love spending the evening together with each other when you’re this comfortable. These are perfect for the den or family area, we love ours! Sometimes, you want to do something more fun and energetic than just watching a movie. At which point, why not crack open a bottle of wine, and play some board games? There are plenty of games that are perfect for couples. It’ll make your evening extra fun, providing you’re not too competitive. Finally, look at getting your outdoor space into shape. There’s nothing better than spending a summer’s night enjoying the great outdoors with your loved one, right on your own property. All you need is some outdoor furniture, a music player, and a bottle of wine. Easy! It is one of our favourite ways to spend date nights at home. 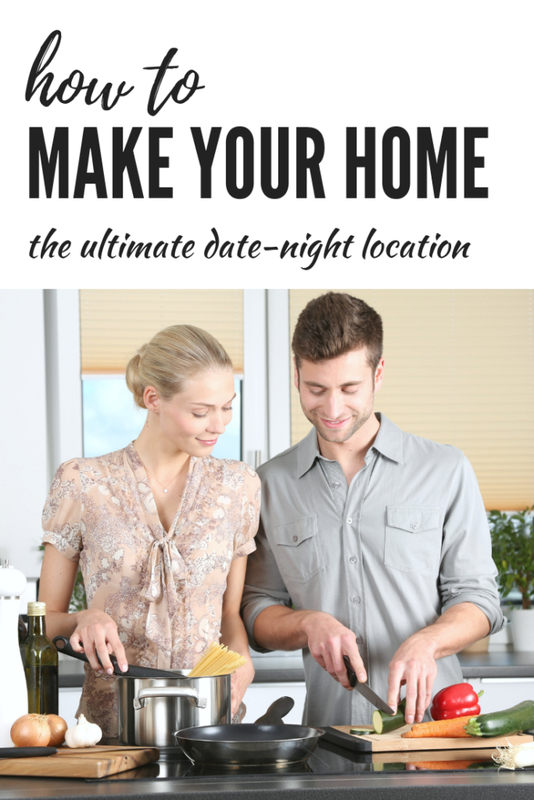 How do you have date nights at home?